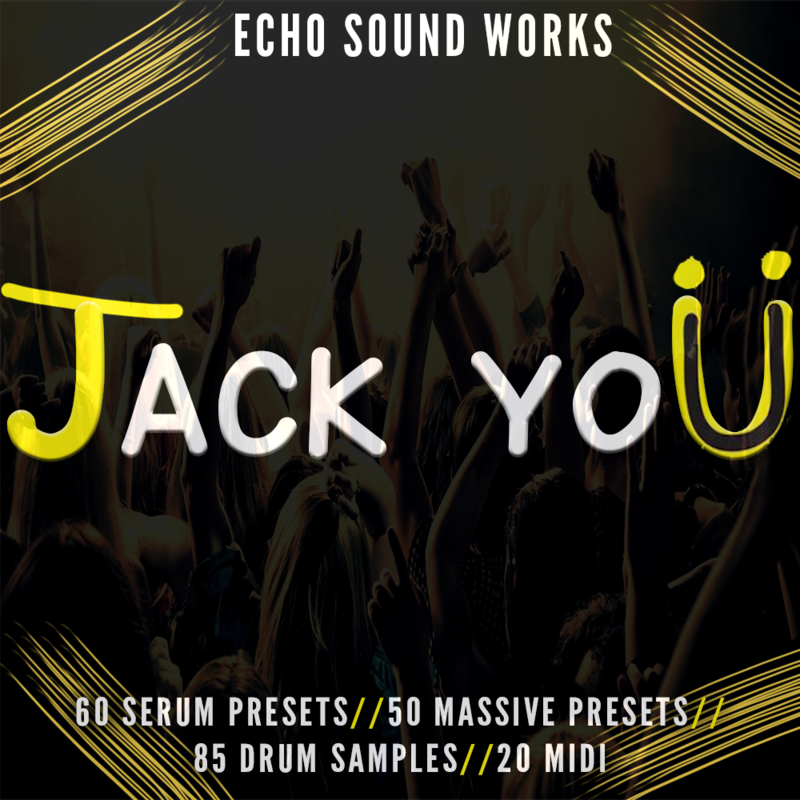 Echo Sound Works is very proud to bring you the genre bending soundset JACK YOÜ for Xfer Records Serum and NI Massive. The sound in this pack are inspired by Jack U, the award winning team of Diplo and Skrillex, as well as artists like Flume, San Holo among others. We also added our own crazy Jackin' sounds too. Serum is one of the best new synths on the block and JACK YOÜ V.1 takes full advantage of it's near limitless capabilities. We created 33 custom wavetables and 10 custom noise samples for this pack to make every preset truly unique. From crazy talking basses, melodic plucks, chill pads, a remake of the Dolphin sound to one of the coolest guitar pluck-synths you'll ever hear, this pack has it all. JACK YOÜ V.1 comes with a bunch of inspiring bonus items like drum samples, loops and MIDI files taken from the demo. These can be used in your own productions royalty free or used as a learning tool.